Judith Leary-Joyce is a highly engaging and accessible speaker, who focuses on the elements of Great Company Culture including Great Company Leadership, Inspirational Management, Talent Development, Managing a Changing Business World and Promoting Success. Judith has worked in businesses all over the world and across the sectors, helping leaders, managers and high potential employees make the most of their talent for the good of the organisation. She brings all this learning to her presentations to make them interesting, real and motivational. Knowing the difficulty of sitting in conferences through endless presentations, Judith uses her facilitation skills to get people moving around, talking and sharing thoughts, concerns and ideas together. By the end of her session, participants will not only have gained knowledge, but they will have applied the learning to their work situation, making the information directly and easily transferable back in the workplace. 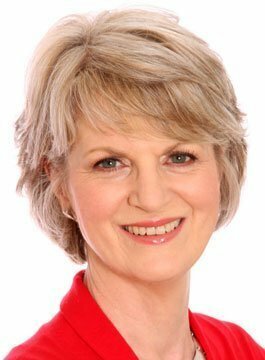 Judith Leary-Joyce is an experienced speaker who has addressed a wide range of UK and international audiences, including the United Arab Emirates, Turkey, Poland and Hungary. Judith’s fascination with helping companies become ‘Employers of Choice’ began when she worked on the 2002 ‘100 Best Companies to Work For’ list for the Sunday Times. During this time, she visited great organisations in both the UK and USA, meeting senior leaders and employees to gain further insight into how companies can become great workplaces. This research, combined with extensive consultancy experience of working with senior leaders and managers from ‘great’ to ‘difficult’ cultures, led her to set up Great Companies Consulting in 2002. Since then GCC has worked with a wide range of organisations across the sectors, developing strong business culture that delivers exceptional results. Prior to founding GCC, Judith Leary-Joyce worked as a consultant in global organisations in the areas of Leadership/ Management Development and Executive Coaching and she has coached many senior leaders in a variety of business settings. Her career has taken her to many countries and she has worked with people from different cultures including Africa, Asia, USA, Scandinavia and Europe, both individually and in cross cultural groups. Her background is in Gestalt psychology and she was a founder member and Managing Director of the Gestalt Centre (1979-1990), which continues to be one of the prime UK Psychotherapy Training institutes. Developing a Recession Proof Culture – using Employer of Choice to best effect. Inspirational Manager – People Management that really delivers results. Maximising Talent in your Business – How to attract, keep and use top talent. The Psychology of Success and how to manage High Performers. Personal Development in the Business Arena. Becoming an Employer of Choice was published in 2004 and gives readers an insight into how to create a great place to work. Inspiring and accessible, with useful information and ideas for action, it has sold to great acclaim and been published in English and Polish languages and five countries. Her second book, Inspirational Manager, goes to the heart of management. Using her research into the behaviours and beliefs of real life managers, Judith provides a simple framework for managers to help them get the best from their people. The book has been translated into Japanese, Polish, Russian, Serbian and Rumanian. It has also been published in India. Her third book, The Psychology of Success, explores the attitudes and mindsets held by people who continue to achieve and develop their strengths throughout their careers. Her findings outline a unique approach to success that can be used to great effect in the business setting, adding real value to those charged with developing talent in organisations. The book has been published in Chinese, Turkish, Arabic, Thai, Polish, Korean, Estonian and released in India. I wanted to say an enormous thank you for opening our conference on Monday and for just being completely spot-on. Everyone, without exception, was not only enthused and motivated by your evident passion for the subject but also very determined to make sure that we go away and make a success of SUCCESS. Just wanted to say I thought your talk last night in Newcastle was fantastic. The first time ever in attending the CIPD events that I have seen so many people making notes. The style of delivery was certainly much better than any speaker I have seen before.